please read below and pass on to others! we are going to be playing some hoops tomorrow, monday, december 31, on a weirdly, adjusted schedule. we will not be playing this friday, january 4. i will be playing over at cedar springs to get a feel for their routine. the reason for the switch is that the end might be sooner than originally thought. unless otherwise specified, we'll resume friday play at west park the following week, but that might be subject to change. keep checking here for updates to that as well. again, playing on new year's eve; not playing first friday in 2019.
didn't get this out last night, but i am not sure who all is watching the site these days. just to let you know, we are playing. i am here.that is my pilot. that is from a few minutes ago. only four more shopping days until christmas. friday would be a good day to pick up some things for the people you care about. just make sure you do two things: start the day with some hoops and hit the waffle house for some energy to handle the shopping. see? solved the problems for the presents. wp court at the standard time. just a reminder that the gym will not be available to us this friday, so you will need to make other plans. if you need a suggestion, i would recommend the waffle house on cedar bluff. the staff is friendly, and the food is very good. in fact, i hit up the WH last friday after hoops for breakfast. i had the hashbrowns smothered, covered, diced, and peppered. the bacon was good, but a special shout-out to their sausage. it is some of the best sausage i've had eating out. we'll resume normal schedule next week. only eight more days from today! 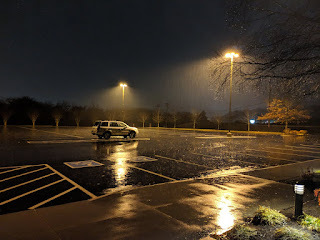 rain and cold heading toward us this weekend means there could be a snowflake or two, and that means making sure you have all your snowy day french toast supplies, that is, bread and milk. of course, i know a few more ingredients go into it, but this sort of alert will wipe out stock of at least those two items in all the stores. why am i talking about it here? because getting up early on friday to play some hoops will set you up to swing by a store on your way home after to get the main ingredients. but if you plan to make the french toast (especially with texas toast), then you'll need to clear out some of the carbs you are using for winter insulation. hoops can do that. i think we have a plan. we have a green light tomorrow morning! 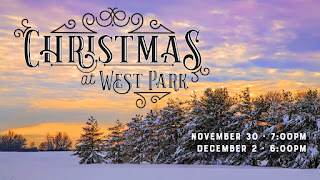 on friday, it is the last day of november for 2018. december means winter and christmas, and christmas starts at west park starting friday, november 30, and sunday, december 2, with our annual christmas presentation at 7:00p and 6:00p on those days, respectively. you are officially invited! 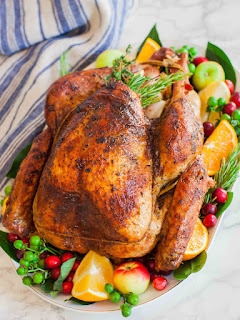 are you stuffed? i know i am. as promised, hoops tomorrow morning. also promised, a few of you who said they would show up. good. we'll work off what we found today. we are indeed playing on friday. and of course, tomorrow. so, that makes it all week. if you were worried about after turkey exercise, then the advantage is yours. just like the old days, we are playing a monday and a wednesday this week. what about friday you ask? i am still looking for a minimum of eight solid commits. the count is perhaps around six right now. i will check tomorrow to see what we have. i need to know by tomorrow, possible, no later than wednesday morning. if the count is less than the above criteria, it'll be a no-go. see you guys bright and early! since cedar springs is closed next week. we will be playing both monday and wedensday. you will have a chance to get your hoops fix in before turkey. as for black friday hoops, i have about six solid commits at this point (friday morning). if you are a solid commit, please let me know or allen know. stay tuned to this site for updates. i will keep you informed. i was pinged last night asking about a special wednesday morning hoops for tomorrow, november 14. i checked, and it is possible. so, meet tomorrow at the gym for a special edition wednesday hoops. and while i'm here, how many of you can commit for black friday hoops (the friday after thanksgiving)? feel free to comment here or gmail me wphoops (dot com). you can also reply to allen's group message if you on that plan. i will check tomorrow and then on friday as well. i need to know before next week if possible, so get your vote in now. i will see some of you in the morning! quite cooler when you arrive. it's candy collection time! that means hoops on friday is part two of today's activities. and let's face it, probably for a couple of weeks to come as well. until then, be safe and have fun! why should you play hoops in the morning? 5. beat the rush to waffle house! why should you come out to play tomorrow? because reasons! as we approach national candy night (aka, halloween), you know there will be lots of that stuff around the house to munch and snack. well, isn't a good thing that we are playing hoops tomorrow morning! plan to get a jump on the extra sugar by running and jumping at a sport you love. this is your regret busting option to make eating sweets completely enjoyable! as much as that subject line would be a great title for my autobiography, it is really just referring to the temperatures. i think fall is now officially here. of course, that won't change much for us. still indoors out of the elements. but at least the cool air will feel good for the drive home. ps: i will never be as cool as i think i ever am. it's october, people! as we head into fall, the season of candy in the form of halloween leftovers and christmas treats coupled with the confections and general feasting of thanksgiving are approaching rapidly. we are a few weeks from the kick off event starting at the end of this month, giving us the jump on planning for all the extra stuff we'll consume. basketball is a good way to make some withdrawals before depositing more back in the bank. you can even get your metabolism increased to help process all the other stuff better. these are my hopes. keeping the progress (what little there has been). as a reminder, the mailing list server has been shutdown. this post was made directly, actually. and we are definitely fridays only at this point. i will see you all in the morning! starting tomorrow, we will only be playing friday mornings at west park. we will keep playing on fridays until cedar springs re-establishes their friday morning schedule (or wp starts construction on the gym). this weekend, i will be retiring the email list server. no need to worry about unsubscribing. the system will just go away. the website will remain indefinitely at this point. all the posts going back as far as 2006 when it was first established are still around for nostalgia. In 1998, West Park built a gym, and we begin playing basketball. Two days a week turned into three days a week, and we never had a problem finding enough guys to play. In the past several years, our numbers have changed growing smaller as people have moved away or retired from playing basketball. We still were able to maintain some decent numbers on Mondays and Wednesdays while Fridays included our friends from Cedar Springs. But now, Mondays and Wednesday mornings have been singular mornings, sometimes including another person to make it just the two of us. As such, I am going to retire Mondays and Wednesdays starting in October 1, 2018, We will continue to play on Fridays until Cedar Springs has established a reopening for Fridays. In April of 2019, construction will begin on West Park's campus to change the layout and add a few buildings. Those layout changes include more classrooms in the gym. Because of that, they are going to resize the gym from a high school sized floor to a junior high sized floor. Although we have until April of next year, I believe that Cedar Springs will find a time to reopen on Friday mornings. When that happens, I will stop opening the gym on those Fridays once that has been established. In addition to the changes in weekly play starting next week, I will also be shutting down the email list which I have been running for about 12 years. I will maintain, however, the website to keep information flowing. You only need to hit a webpage to know if the gym will be open. Any news about the gym and future Friday plays will be found on that website. I also have a few email addresses that I occasionally contact which can also help get that information out. it's been a good twenty years. I have made good friends along the way, and met people I probably would never have gotten a chance to meet in other settings. We have prayed for each other as brothers and competed in a friendly sport which also provided enough exercise to keep us in shape. These will be some fond memories for me. Keep an eye here for more information going forward. I will continue to see you on Fridays until further notice. i say that because there are actually games to play with people and stuff. it'll be all the fun times we have come to know and love. fall is close, and tailgating any like events have already begun. with that many hot dogs and burgers on the grill, can you really afford to not have an exercise plan? hoops on monday can help your situation. i offer only a gym and basketball. the rest is up to you. hurricane florence made landfall as of thursday evening. it'll be a rough weekend for the carolinas. 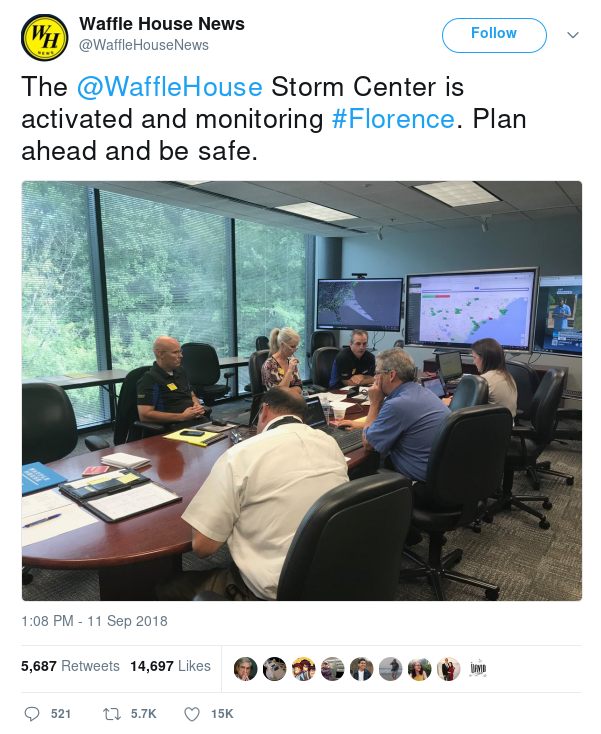 and although they will be facing an insane storm, there is one thing we share with our east coast neighbors: waffle house. we'll face the stormy hoops as we rain down plenty of three-pointers and high speed breaks. and even though we'll be some active games, the waffle house will be there for us when we need that break. do keep those guys in time talking with God. if you are looking to play some hoops on wednesday morning and find your normal gym fuller than normal, we still have a few open spots available to make up a basic five-on-five team. just show up and be ready to play! it you missed the gym this past weekend because it was, well, the weekend, then you are in luck! it will be back tomorrow ready for all the hoops! it'll be like you were never really gone! we had a full house monday, and we'll have one friday. we can make it there for three if we get enough to play some full court tomorrow. you can be a part of it. we have room. i'll take holiday hoops for $800, alex. what is "are we playing on labor day?" we are about to cross over into month nine of this year. before we do, we should play one more morning of basketball. meet me at the wp gym a little before oh-six-hundred hours for warm up and basketball. only after that will you be ready for number nine. i believe we'll have enough commits to play on monday too. our plan is to have normal hoops on labor day. it's been a few days without hoops. have you missed it? well, you no longer need to wait for it. we return to the court tomorrow morning. we are not playing tomorrow morning. but you already knew that. go to the waffle house! it's a better deal and a sure thing! we are off tomorrow morning and friday. if you don't, find waffles. monday is the only day we play this week. no hoops wednesday or friday. and next monday is out too. those of days would be a great time to visit the waffle house. come tomorrow! then the waffle house. we are definitely on the court tomorrow morning, but keep your eye on the schedule for the next couple of weeks. next week, we only play monday. we are then off wednesday (aug 22) and friday (aug 24) of that week. then we are off on monday (aug 27) of the following week. we will pick back up on wednesday, aug 29.
i can't believe how fast this month is going. well, quickly for me. you might be dragging through it. but i'm still ready for some serious mid-week, mid-august hoops. if you are feeling the need to meet all your mids, tomorrow is the time. and the place? the court at the wp. and come prepared! it won't be for the timid! i have my alarm set. i will be there in the morning. it's a sure thing...unless the Messiah returns or i end up being killed during the night. but aside from those drastic outcomes, i'll be there. you should set your alarms too. it might not be raining when you arrive, but you'll need them when you leave. of course, they won't help your game...unless you've been practicing in them all this time. then maybe. anyhoo, come to the court to play the basketball. no studying for that pop quiz. hey, we're playing some hoops tomorrow. if you are around and want to play, you should find me. i'll be in the gym warming up. you know the place. you know the time. you've inside most of this week because of the rain. it's time to get outside, get into your vehicle, drive over to the gym, get outside again, then walk inside to play some hoops! that gets you the outside you've been missing all week. and when you're done, walk back outside to get into your vehicle again and drive to someplace, which could be but not limited to, the waffle house. get outside to get inside and play hoops! anyone want to play hoops tomorrow? i know this place we can meet. pretty decent and everything. it's got goals, so that's a plus. nice wooden court. even has water fountains for that best-practices hydration. if interested, show up at the wp gym. mark july of the list for 2018. we are moving on to august on wednesday. enjoy those open, school-traffic free roads while you can. but enjoy morning hoops throughout the rest of the year! including tomorrow! with the first month of summer already completed, we are still playing basketball. and what does summer have to do with hoops? nothing really. that's because we'd still be playing if it was fall or winter too. now that we have that cleared up, we can just come out tomorrow morning and play some hoops. it'll be a good way to close out this week. and of course, that means hoops. a wednesday morning packed with basketball action. the summer is still going strong, there is no reason you can't jump on the court and do the same. if things go well, waffle house wednesday could follow! friday was good morning of hoops. do you want moar of that? well, i will be opening the gym tomorrow for an opportunity to have just that: moar. moar basketball action. moar court running. moar fun and excitement. all you need to do is to show up. see? that's a pretty easy thing. tomorrow hoops is on. if you were missing a good friday morning of hoops last week, this one is for you. we'll be gathering for all the normal hoops action you have come to know and love. i don't know about the rest of you, but the exercise will be what i'll be needing the most. of course, we'll keep score and stuff. i just hope i get enough sleep tonight to be fully ready for all the action. say, who is up for some hoops tomorrow morning? i know this great place we can play. good equipment. free. let's say about...06:00? maybe come a little early to warm up. anytime after 05:45.
friday was a day off, but a full week of hoops starts tomorrow morning. it's likely to be raining tomorrow anyway, so hoops is a good choice. 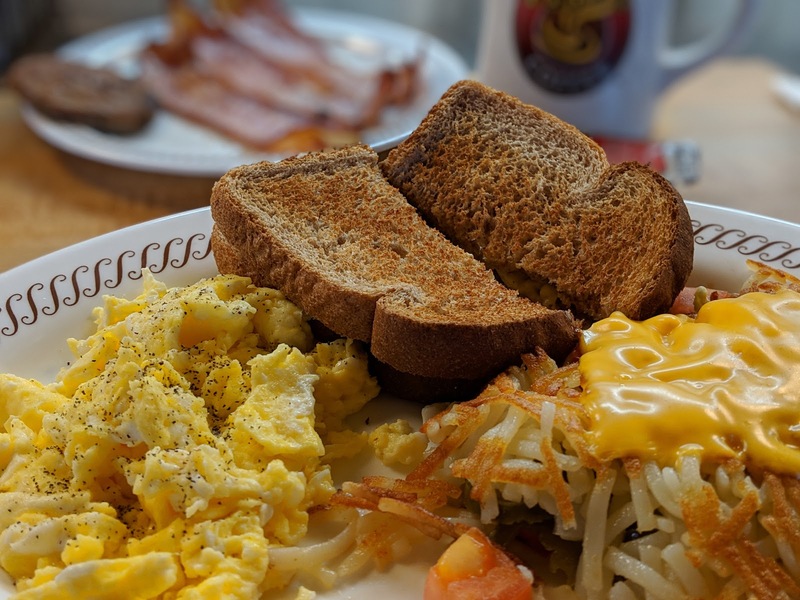 the gym is occupied, so make it a waffle house morning! go by and grab some great breakfast instead of running and exercising. you can resume that next week. start the weekend with something fun! i believe i told you guy incorrectly. i might have classified this week as a regular or full week of hoops playing. but when i checked the google calendar associated with the west park hoops site, i found that the event for friday was removed. it was something scheduled back in february, which seems like a long time ago. so, we play wednesday; we don't play friday. i hope you had a good celebration yesterday. we are resuming the normal schedule of hoops tomorrow morning. you guys know the drill. 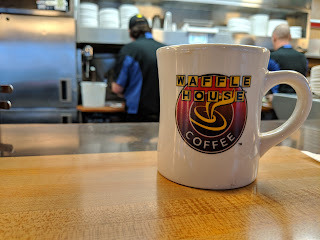 another reminder that we are NOT playing HOOPS on july 4. if you have failed to check this for the update or failed to disable your alarm, the waffle house on cedar bluff is there for you. you might swing by before all the grillin' to get some eggs and bacon to start your day. and why not a waffle too? we'll be back on friday to give you a chance to work it off. 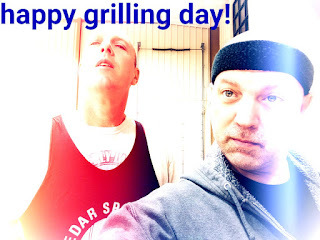 national grilling day is wednesday. lotsa hot dogs and burgers with chips and sides. maybe you are throwing some ribs on the fire for some festive eats. whatever you do, you'll need to work it all off. get a head start and begin working it off beforehand. then you won't feel as bad having and extra something. we play tomorrow. we play friday. we do NOT play WEDNESDAY. not yelling. just emphasis. we've had a lot of water dump on us in the past couple of days. power outages, flooding, lawns turning into swamps, overflowing gutters...so much! perhaps the most of it is over in time for the weekend. of course, if it all evaporates in any warm weather, the humidity will be crazy again. grilling time is super close! the fourth of july. independence day. national grilling day (it's probably not really). maybe it should be, with as many grills being ignited in some fashion to cook all the meats and everything. plenty of chips and burgers and hot dogs and perhaps even ribs with some watermelon to wash it down will be on the tables across the land in just a week. 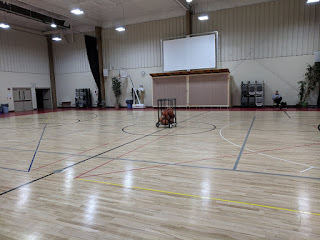 since we are not playing hoops that morning, it might be good to get our your favorite gym and play some sportsball to get in shape for the freedom consumption. we'll be open tomorrow and friday to help with that. we'll even be around next monday as the last chance to burn off what you can before burning the botulism out of those burgers (on your grill). it's crazy how humid is...and hot. feels worse this year compared to last. it's okay to sweat while playing basketball. and you can do that tomorrow morning with the rest of us. it will still be cruel, but at least you can sweat on your own terms. ...falls mainly on the plain. around here, it mainly falls on the road and makes drivers extra crazy. but they don't come out until later in the morning making it still safe to drive on over to our enclosed gym and play some hoops. set your alarms for a good morning of hoops in a dry gym complete with air conditioning! one thing you can definitely say about the gym is that we don't have to play through the humidity. can you imagine outside hoops these days? my normal levels of sweating would jump to epic. and i already tend to sweat like pirate dave (aka splash country dave, aka shamwow dave) does. for humidity-free hoops, come out tomorrow morning! we are back on the court for basketball action tomorrow morning. hope your waffle house week was fun times. feel free to work it off this week. tomorrow is the last day of vbs. as it has been this past week, no hoops in the morning. we'll be back on the normal schedule next week. 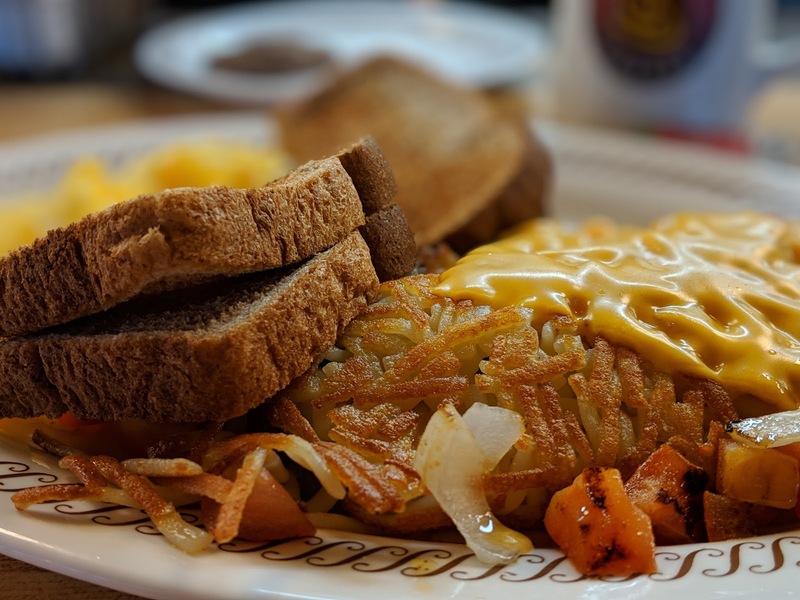 one day left to spend that morning time at a waffle house alone with a good book or some pals. don't let these moments pass you by! another day in the life of vbs at the wp. gym is being used for other things this week, which means it's the perfect time to sleep in...or GO TO WAFFLE HOUSE! yeah! it's open. and ready to serve you waffles...or pancakes. seriously? pancakes at waffle house? why would you do that? let's not lose control now! anyway, back on monday next week. enjoy! just a reminder that the gym is in use for vbs this week, so we are not playing basketball at the wp. have a good time off, or head over to cedar springs if you need a morning hoops fix. we play tomorrow morning and then get a break for a week. june 11 - 15 will be vbs week at west park, so no gym activities. of course, you know i'm going to suggest that it's a good time for the waffle house. and allen is going to point out that cedar springs will be open on monday and wednesday next week. whichever you decide as your alternate activity, enjoy your mornings. we'll be back in business on monday, june 18.
it's always good to have our cedar springs counterparts join us on the basketball court. this week it's that way every day. that usually means that i will get plenty of running in. or at least i hope so. ready for a full week! we are playing hoops this week, and we'll probably have some friends from cedar springs since their gym is set up for vbs. this is the week to get in all the basketball for two weeks since our gym will be out of service next week for vbs as west park. set your alarms and come for the exercise! i don't know what happened last friday, but i am hoping for a few more than we had a week ago. it was pretty slim for a friday. i need to give a notice about the week of june 11 - 15. it is vbs at west park, so our facilities will be in use that week. that means no hoops at the wp. we play next week, but we break the week after. make your time! i hope you had a good memorial day weekend. now is the time to get some of that exercise that basketball provides. will anyone join me in the morning? i will be there to see what happens. 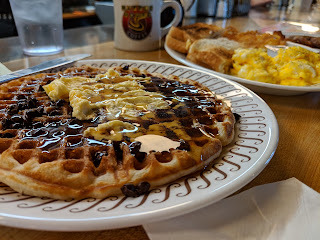 we didn't get enough commits for monday morning (memorial day), so you can sleep in or go to waffle house. please pass on the info, and we'll pick things back up on wednesday. heading into the long weekend, and it's time to decide if you are going to play on monday morning. right now, only five have committed. unless i get nine other solid commits, we'll sleep in on monday. cast your vote. decide now if you are committed. i will make the call in the morning. ready to get up and play? wendesday is game on! hoops in the morning! set alarms and drive over! we will not have hoops on monday. take this time to be with your families or to meet some pals at the waffle house. heck, take your family to the waffle house! we'll be back on the court on wednesday. water falls from the sky all the time. just come out and play some hoops! if you liked what happened on wednesday, come back tomorrow for moar action! just a reminder: no hoops on monday, may 21. we will play wednesday, may 23.
if you forgot to call your mother for mother's day, you might be a bad son. but i'll bet she would still be glad to hear from you. and if you do talk to her, tell her you are playing basketball tomorrow morning. that will totally make her day. last week's attendance was a bit surprising, so it will be interesting to see who shows up tomorrow morning. i would like to give a shout out to my side we were represented. no matter who shows up, i know it'll be good times! heading home for now. well try on friday. friday was a weird day. are you ready for another week of hoops? i will be tomorrow morning. alarm is set. clothes are ready. just need sleep, and i will be ready to go. court will be ready for hoops tomorrow morning just like it always is. normal friday, normal hoops...unless i get superskillz overnight. then it might be abnormal hoops. if i do get superskillz, be prepared! you might not see this coming. ok, i'm going to call it for tomorrow. aside from my back being a problem, i also seem to be coming down with the equivalent of a head cold. symptoms and all. so, no hoops tomorrow. we'll see how things are looking on friday. stay tuned to email and blog for updates. enjoy sleeping in and/or the waffle house! so, i'm still sore from monday. muscles in my back are still not allowing unhindered movement. i don't know that i will play tomorrow morning to give it another day or so of rest. i plan to try again for sure on friday. that said, if there is interest, if you were planning on coming, i can open the gym. but if there were no plans from some of our forgotten regulars, then we might just skip tomorrow. i'm going to give you guys a chance to express your desire one way or the other. reply to this email (there is an email for those of you only visiting the website). i will send out/post again this evening based on the response i have received. avengers are fighting thanos in an epic battle this weekend, and it will require a group of extraordinary individuals to stop him. tomorrow morning is hoops like normal, and we might not meet that type of extraordinary as a group, but we will still battle for points (15 or a few more). we aren't saving the world, but we can burn some of those saved calories from today's pizza. make your whole day epic! start with hoops; end with infinity war! ignore the weather. it's all over the place. but you don't have to be. only place you need to be is at hoops tomorrow morning. 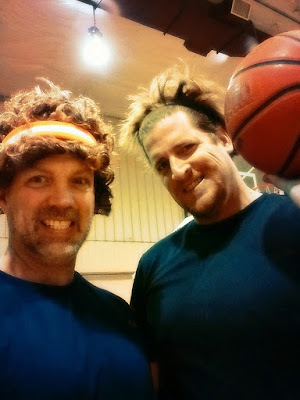 i cannot begin to tell you how epic monday hoops was...were?...! if you missed it, don't worry. it's warm again for you pansies who stayed in bed to be toasty. i would say spring is here and summer is right around the corner, but i really don't know how to factor in the weather this year. but you guys know. and it will be something! so, see you in the morning. cold night and cold day tomorrow. don't worry. just a day and then temps head back up. of course, you won't know it if you show up to play basketball and run fast and stuff. at least it won't be all humid when we leave after playing. ignore the nippy air and join me. it's really okay. taxes are not due until monday. that gives you a weekend to work on them. and that mean good things for basketball since you can sleep a full night, wake up to play hoops, and then deal with the taxes on saturday (or sunday if you like to procrastinate). my taxes were submitted in january, so i'm on set on that front. if i can get my knees to be full rested, i think i'll be able to deliver a decent game or two in the morning. monday represented getting the band back together. ben, bryce, mike all showed to make a full court day possible. boy, was i tired after! it was a good tired, a good morning. i will be ready tomorrow to see what we get! ready for another fun week of hoops? it starts tomorrow morning! prepare yourselves! it was a good morning on wednesday to have our cedar springs crew to populate what would have been a singular day. so, thanks, guys! tomorrow will be awesome too! did you guys forget that we had hoops on monday? we did! it was very true! and we are hooping tomorrow too! set alarms for it! friday completes the first quarter of 2018. cold weather is on the way out and storms are right around the corner. speaking of storms, if i get decent sleep tonight, prepare for some crazy intense basketball in the morning from. well, as crazy intense as i can be. eight on a monday. i didn't anticipate that. i did, however, appreciate it. we were able to pull off some full-court games. no expectations for tomorrow. only that i plan to work pretty hard. i think i will be better rested than i was two days ago. we are going to close out the month of march for this year this week. it's not too late to set alarms and finish strong. that's how i plan on doing it. who's with me? monday was an great morning of basketball. i got in some decent exercise, which i am looking forward to tomorrow morning. what about the weather? we'll see.i expect to make the drive in the morning. it's been a week. i did a little aerobic exercising during the time off. we'll see if it was enough to handle being back on the court tomorrow. i didn't swing by the gym, so the work on it will be the surprise we both share. come and check it out! 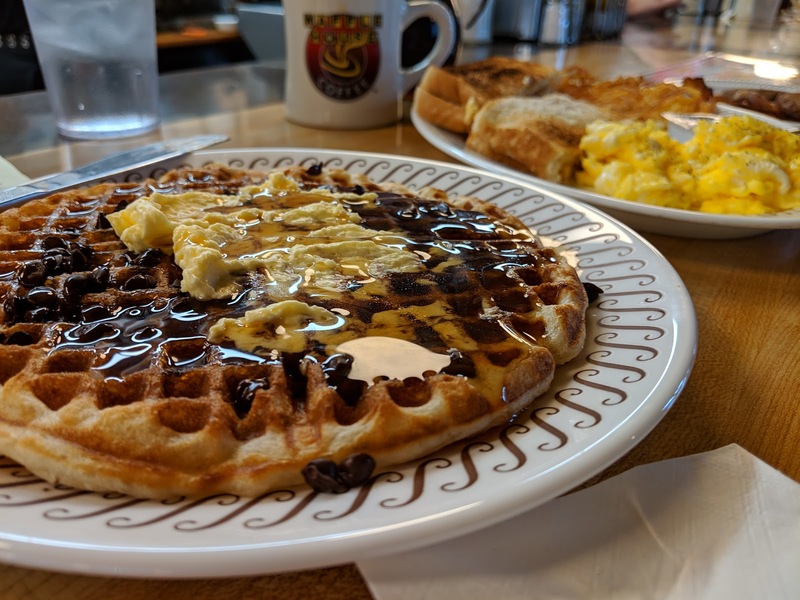 what a great way to finish off the week than to head over to the waffle house for breakfast instead of heading to the gym. i have not yet glimpsed the floor. i might get a view of it on sunday. we will resume on monday morning back to regularly scheduled program. bring sunglasses. i anticipate shininess. it's spring break this week, and there is no hoops. enjoy the break! stay broken! gym floor is getting a redo, so we are going to find other avenues of exercise. or just alternative morning plans, such as the waffle house. we will meet a week from tomorrow. enjoy spring break! we play tomorrow. then we are off for a week. then we return. spring break is spring break. you will probably be taking off with kiddos, and the floor gets a refresh. you should plan to come back the monday after spring break, see the floor. it will be something. large number week hits the mid point as we play wednesday with more than normal for morning hoops. make sure you get your time in now. next week is an off week for us at the wp. 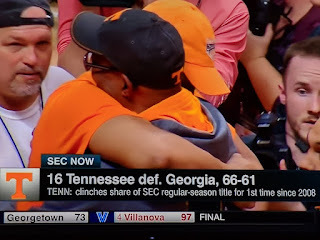 just finished watching tennessee men's team beat georgia for SEC spot. amazing! makes you want you want play like these guys. too bad i am 20+ years to do anything like these guys, but the mind is ready! so, friday hoops is happening. we'll also have a full roster for all of next week. we are off spring break week. we are playing in the morning. set your alarms. cancel those waffle house appointments (or move them until after hoops). we're back in action for wednesday hoops! there are some upcoming dead air dates where the gym will be unavailable. as always, i will post those here as a heads up. the first you should keep on your radar is spring break. the gym will be getting a reconditioned floor as is the annual practice. 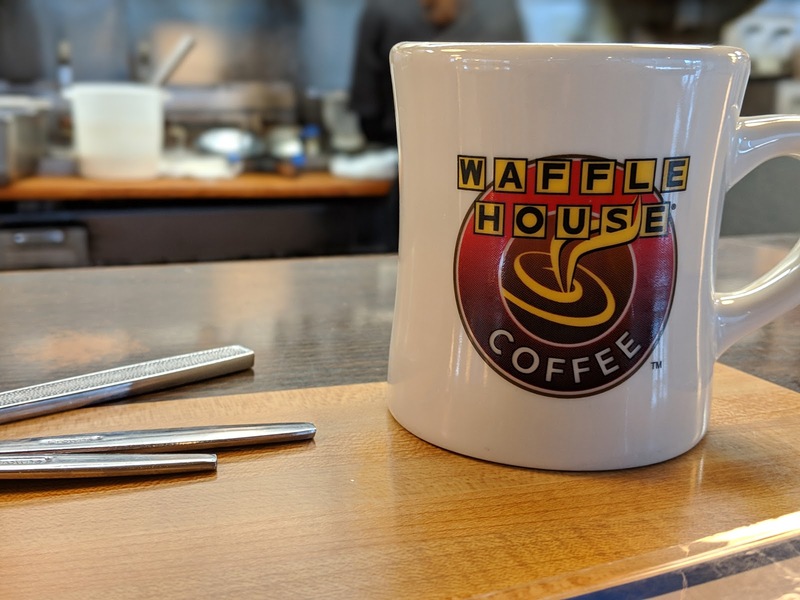 plan your waffle house moments for march 12 - 16. we'll be back the following week to try out the new shiny court. sorry for the short notice, but it's missions conference week, and the gym is needed for events tonight and tomorrow. we will be back on wednesday, though. so, make tomorrow morning a waffle house morning. my body could have used the exercise on monday. i am quite accustomed to having some form of exercise, so my body doesn't react well when i miss it. i will be ready to go in the morning. i have a very early morning tomorrow, so there is no basketball tomorrow, monday, february 19.
we will resume normalcy in wednesday morning with hoops again. i will see you all then. we are definitely on the court again tomorrow morning playing our favorite sport. come ready for action. on monday, we are not playing as i need to be at work at very early hours. we'll resume on wednesday. we'll be playing the former, in case there was confusion. we had just enough on friday: perfect ten (thanks to jackie). tomorrow might be... different. although, if you are reading this, it could depend on you. we could use you. i will get my exercise tomorrow. will you? we all need it. last friday, we only had about four show up (and not all at once). john and i decided to call it when we were still the only two in the gym a little after 6:00.
but that was last week. this week, there will be people and warming up and stretching by that time. heck, we might already be playing if we have enough before 6:00. first come, first serve. even though school is out, we will play. note: if you are sick, stay home. we don't want what you have. join me tomorrow morning for some return to action on the court of basketball. our schedule resumes at normal time to relive all those moments you watch for the college teams playing their way to march madness. come out to play! then you can really tell everyone you're living the dream! we are off tomorrow. we will resume wednesday. i am sure you are fine to watch as much superbowl as you want without an early wake up call. whelp, only three showed. then louis. we will play on wednesday next week. no hoops monday. my roads were wet but seemed fine. no snow in this area. at the gym now waiting for a select few. i have heard that wintry mix is on the menu for tonight. we will play the game of wait-and-see for tomorrow morning. i do need to mention that we need to cancel monday morning. 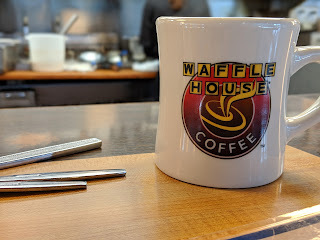 i need to be at work by or before 6:30. while i am munching on a pop-tart, you guys can living it up at the waffle house. we will resume normal stuff on wednesday. temps are up and down this week, like a basketball with proper air pressure being dribbled down a court. hey, speaking of courts and basketballs, we are doing that tomorrow morning. don't let cold temps keep you away from this. it's where all the cool kids will be. you guys know, i like snow. next weekend has snow in the forecast. i have been watching the forecast on my app, and the little snowflake remains. i know it could still all change, but i will hold onto the hope of snow as long as i can. that said, better get your hoops in before things get dicey...no matter when they actually come. if you like all that summer weather in the dead middle of winter, then you'll have appreciation for this weekend. but it is alright as we look to next weekend with the possibility of snow. i know it's over seven days in the future, but i like the winter precip in the winter. all that, of course, has nothing to do with hoops. we're playing tomorrow morning! show up! play hoops! go home! let's try again tomorrow. i should be more warmed up. i would rather it be all cold and snowy for our winter. this late winter/early spring set of temps is annoying, to say the least. but that means no weather conditions act as an excuse for lack for attendance. i hope to see a good complement in the morning. i can say that about the parking lot, but your back roads are for you to review. i suspect we'll have a crew ready to play in the morning. hope your snow day was fun! since schools are all closed tomorrow, play it safe and stay at home. no need to slide on over to the gym. we'll do things again on friday. snow doesn't arrive until tuesday, so it should be clear sailing to get to hoops tomorrow morning. don't think because it's a special that we wouldn't play. we were able to get some harsh exercise in on monday. i know we were all worn out, but i really needed to get moving like that. i am hoping friday will be another good morning of activity. and we are playing on monday, if that matters to anyone. one way or another, i am going to get a good solid 45 minutes of continuous exercise. if there any (enough) who are with me in the morning, good. if not, maybe plan b.
looks like we might have a larger than normal crowd today. cedar springs crew might be joining us making it full court. roads are dry as bones. all the exciting stuff starts later this morning. we are looking at some questionable weather tonight/in the wee hours of tomorrow. i will try to update as i find things when i wake up. i expect mostly cold rainy conditions, but i am no trent magill when it comes to knowing this stuff. until you hear otherwise, all is normal in the morning. it's very cold out there. doesn't matter. i'll be there tomorrow. and nate will be too, because he's from michigan and this is the same thing to him as a cool summer (not to be confused with a cruel summer which is a completely different story--ask him about it sometime). i'm betting the large numbers we've had the past two fridays will take a serious dip, much like the outside temps, and we'll be back to full court games. i guess we'll see tomorrow morning. at least nate goes his shoes back. tomorrow will be our first hoops of 2018! i hope your waffle house monday was a good one, but now it is time to get back into action! cold temps should promote the need to stay warm by exercising. we have a solution for you to generate that warmth by running full court. with the right numbers, that can be a reality. either way, i plan working on some holiday cookies. come and make the cookies work for your warmth!